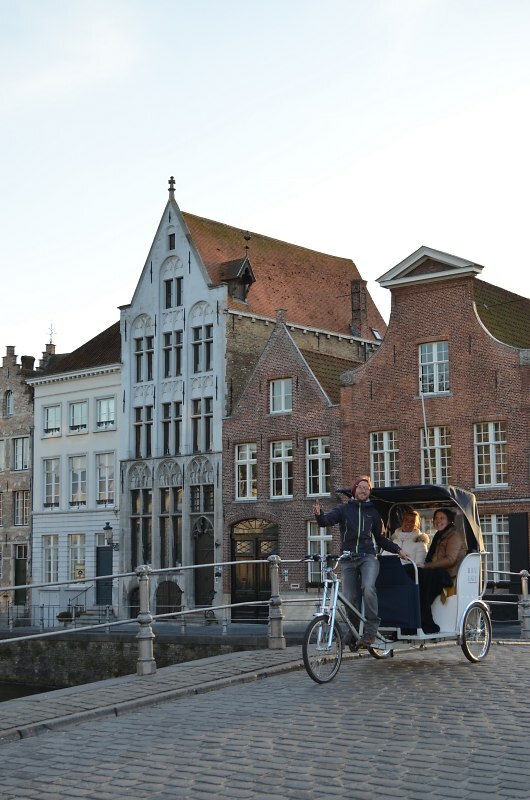 "Bicycle Carriages Bruges" gives you the opportunity to enjoy an original way of seeing the most amazing sights in the old city center of Bruges without having to walk long distances. 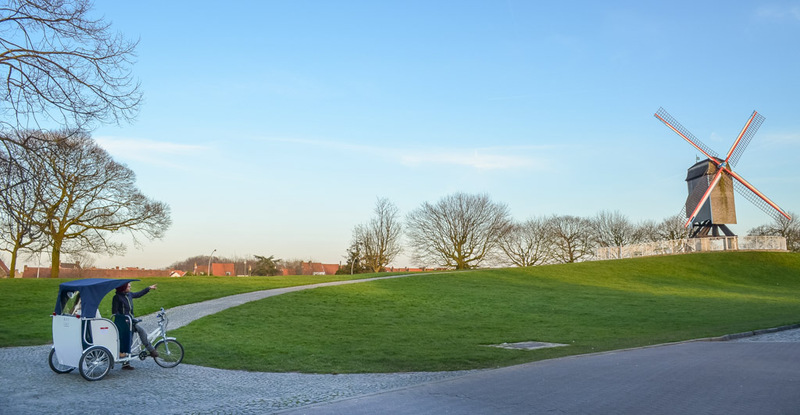 The driver and city guide gives an explanation of the most beautiful historical spots, the most significant monuments, special buildings and hidden diamonds in Bruges. The tour is offered in three different languages: Dutch, French or English. 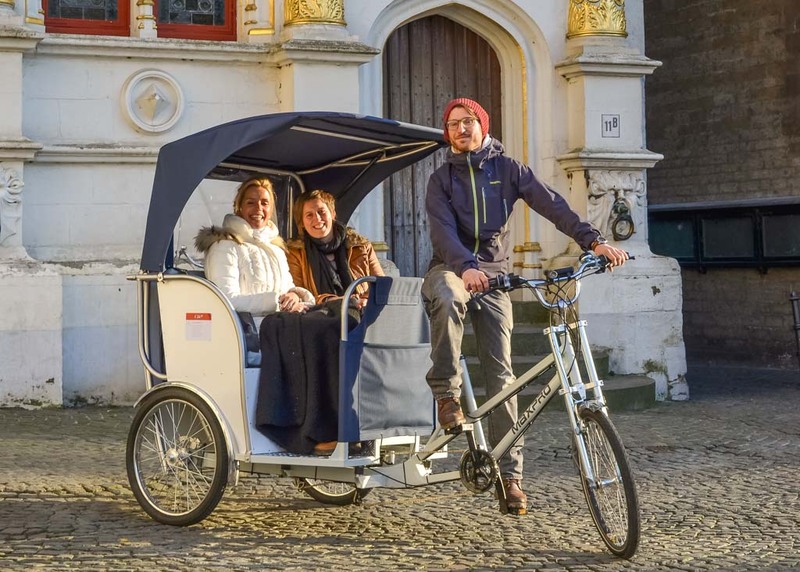 The ride takes 30 minutes and costs 24 euros per carriage ( max 3 people). The carriages operate every day, if the weather permits. You can always reserve by email or by phone. 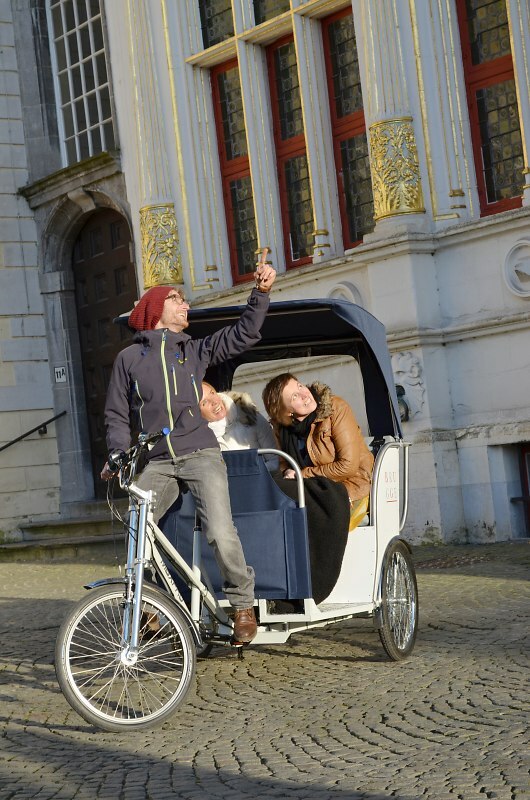 Besides the guided tours through the city, "Bicycle Carriages Bruges" also offers customized activities. Contact us to discuss the possibilities. We like to work out a proposal tailored to your personal preferences. 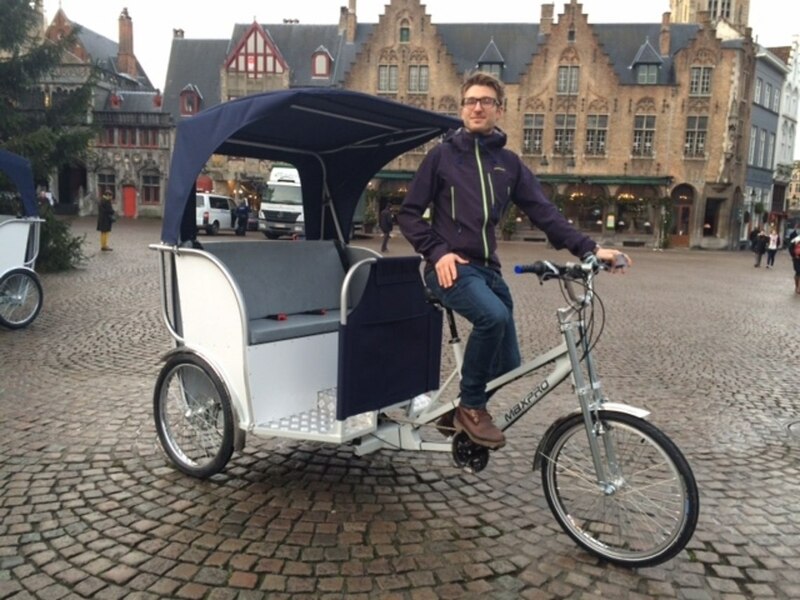 For more information please visit the website of Bicycle Carriages Bruges. Daily on the Burg Square, in front of the city hall. In summer from 09.30 am ->10 pm. By telephone on 00 32 (0)478 40 95 57"